Detailed recipe of One Pot Coconut Curry Pasta Recipe | Macaroni In Buttery Coconut Vegetable Curry along with step by step video tutorial. Macaroni in buttery coconut vegetable curry is a delicious one-pot meal and can be served at dinner or lunch. I absolutely love one pot dishes. And I adore them, even more, when it comes to one pot pasta. I guess all one-pot dishes can make pasta dishes more desirable. What do you think? So when we talk about one-pot pasta. 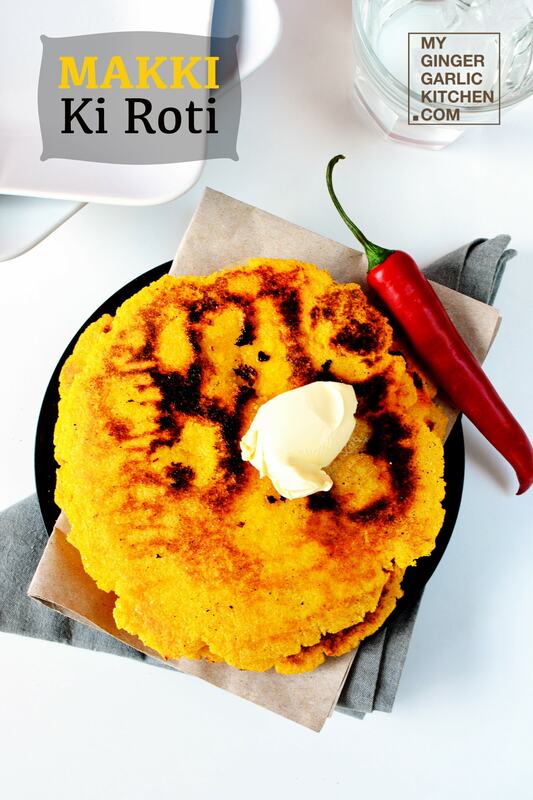 How about if I tell you that I have extremely easy and yet so flavorful dish to share with you all. 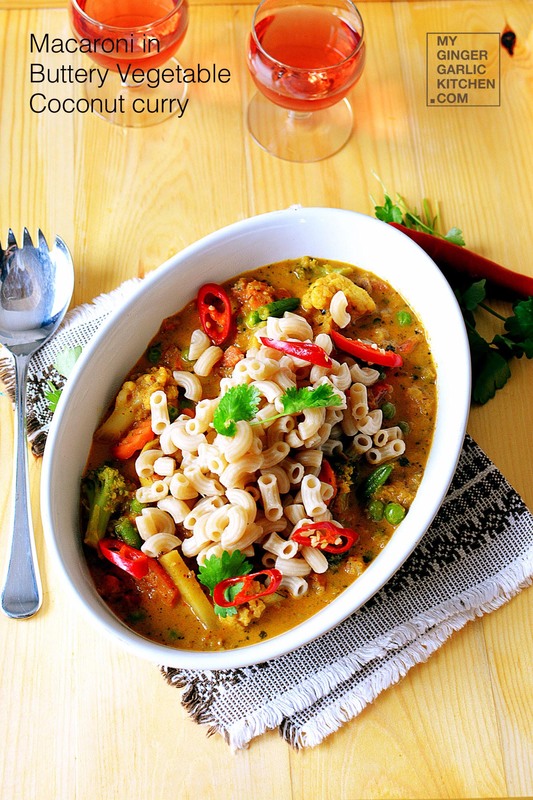 And this dish includes coconut curry and our favorite macaroni. Oh yum! Even the sound of this is making me drool again. How about you? 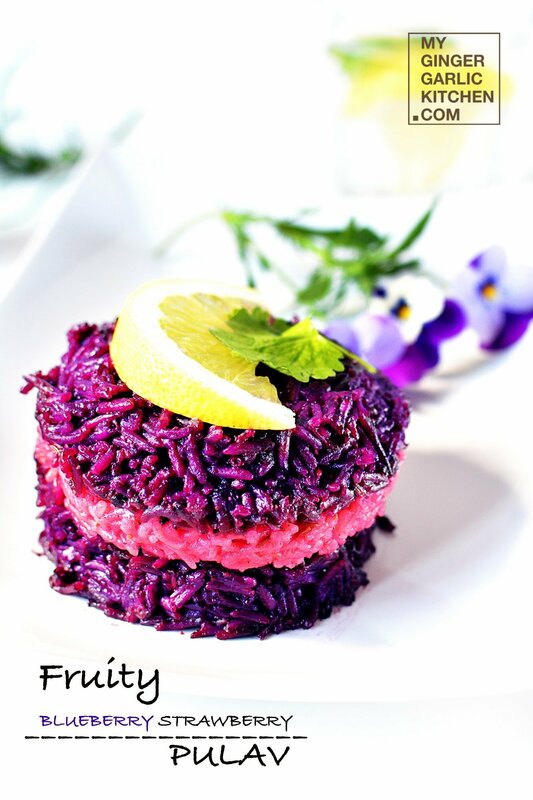 Asian fusion can brighten any simple dish. This luscious, creamy and buttery coconut vegetable curry is one of my favorite things that I’ve cooked in a while! 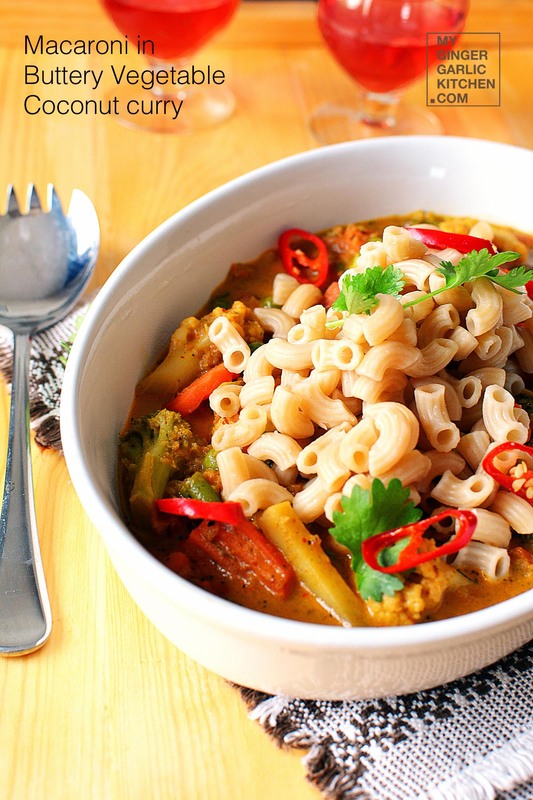 What Exactly Is Macaroni In Buttery Coconut Vegetable Curry? Macaroni in buttery coconut vegetable curry is a delicious one-pot meal, and can be served at dinner or lunch. 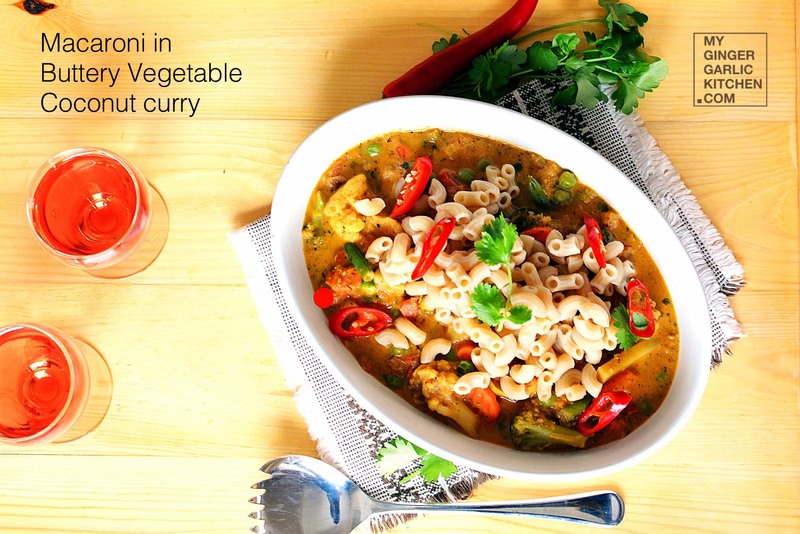 Macaroni in buttery coconut vegetable curry is prepared by adding macaroni to the coconut vegetable curry. This recipes comes with a wide combination of vegetables and spices, including coriander, curry powder, turmeric powder, and garam masala powder. 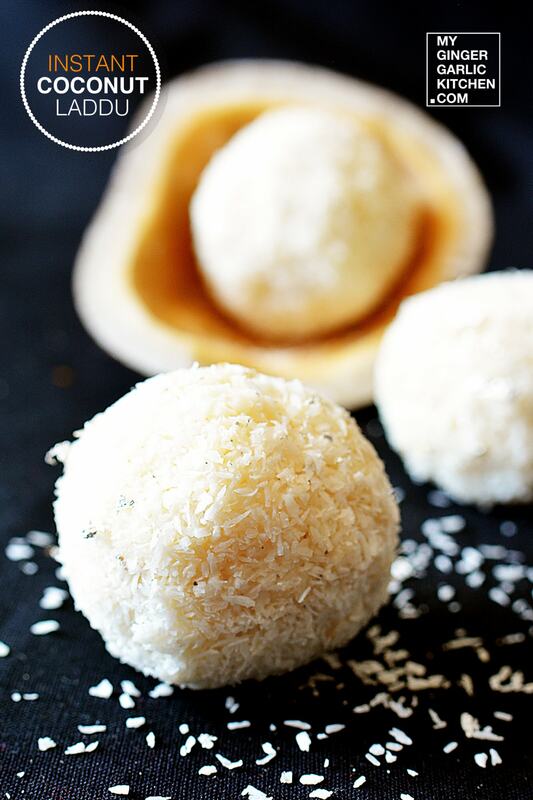 The undoubted winner of this recipe is coconut milk, which defines the rich, buttery, and a little sweet taste in a spiced curry. Why am I so very fond of the flavor of this dish? Who won’t be when a pasta dish includes Indian spices along with rich coconut flavor. And this pasta is absolutely beyond the mildly flavored pasta. For this particular dish I have used regular macaroni here, but you simply choose whole wheat pasta to make it healthier. The nuttiness in this pasta sauce c plays beautifully with the almond butter and with the bright Thai-inspired flavor. Another good thing about this pasta is that this has a lot of vegetables. Feel free to add your favorite veggies here, it works great with loads of different variety of vegetables. Let’s learn to make Macaroni in buttery coconut vegetable curry in easy to understand quick steps. Heat a pan. 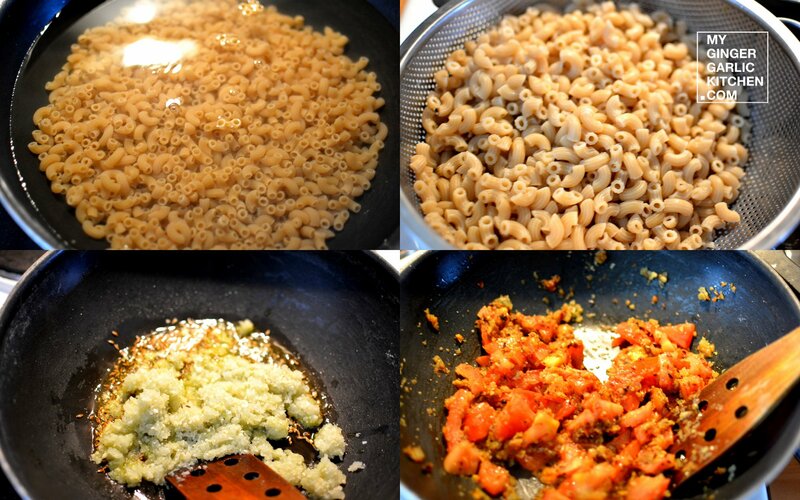 Add enough water, 1 tsp oil, salt, and macaroni. Cook according to the instructions on the package. Heat another pan, and add oil to it. Add cumin seeds, and when seeds start to splutter add onion ginger-garlic paste. Now add salt, turmeric, coriander powder, and curry powder. Mix well and sauté for 3 more minutes. 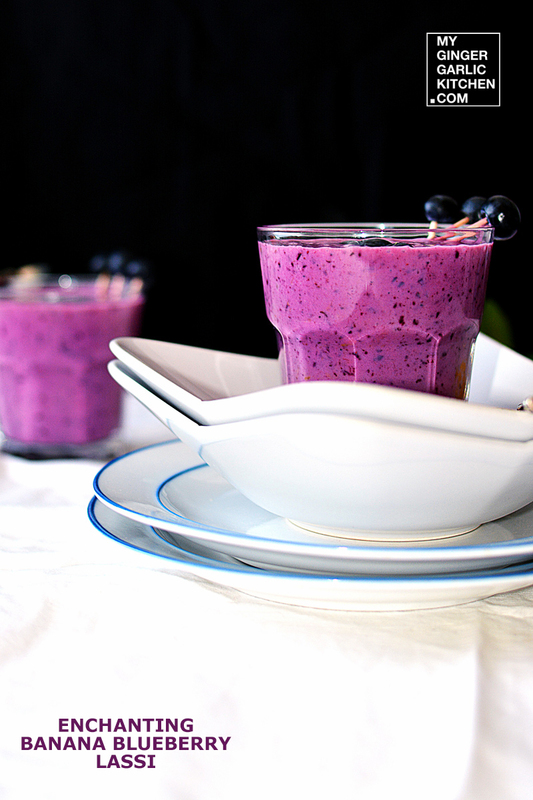 Add coconut milk, and mix well. Let it cook for 5 minutes. Add all of the vegetables, and mix well. 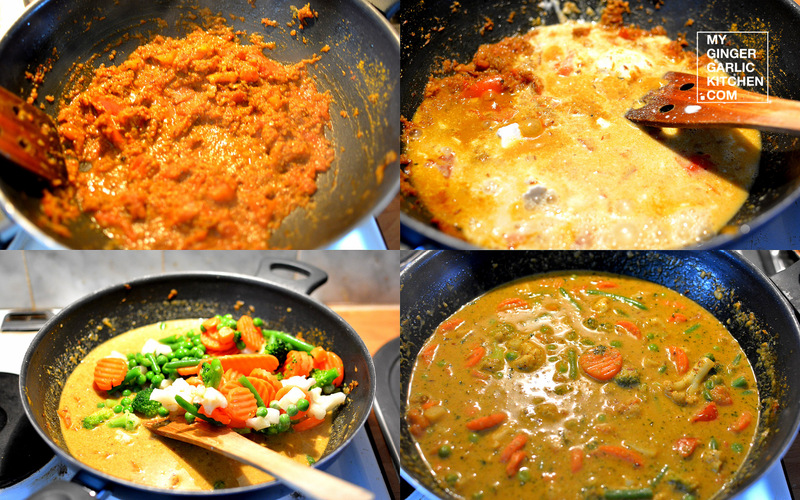 Let the vegetables cook covered in coconut sauce, for 5-7 minutes on medium-low heat. Add garam masala powder, and mix well. Remove from heat. Transfer vegetable coconut curry in a serving bowl. Add cooked macaroni to it. Serve hot and enjoy!